Nadia efficiently handles the role of the anchor at any event or project assigned to her. 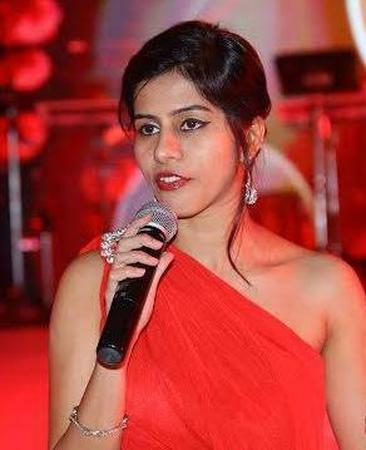 In the past she has worked with big brands, reputed corporates and renowned events. She very well understands that every event has a specific purpose and tone and executes exactly what the client expects. Her anchoring got her a decade long partnership with Infotech, hosting Spirit of Wipro Run in 2013, anchoring Press Meet in Dubai for the blockbuster Main Hoon Shahid Afridi movie in Pakistan and many more. Nadia Hakani is a anchor based out of Mumbai . Nadia Hakani's telephone number is 76-66-77-88-99, address is Mumbai, Maharashtra, India. Nadia Hakani is mainly known for Sangeet, Wedding Reception and All Social Events .. In terms of pricing Nadia Hakani offers various packages starting at Rs 20000/-. There are 0 albums here at Weddingz -- suggest you have a look. Call weddingz.in to book Nadia Hakani at guaranteed prices and with peace of mind.